Hogan Dowling McNamara are delighted to be the appointed legal partners for the stunning new development ‘Templeville’, Ballinacurra Road, Punches Cross, Limerick. 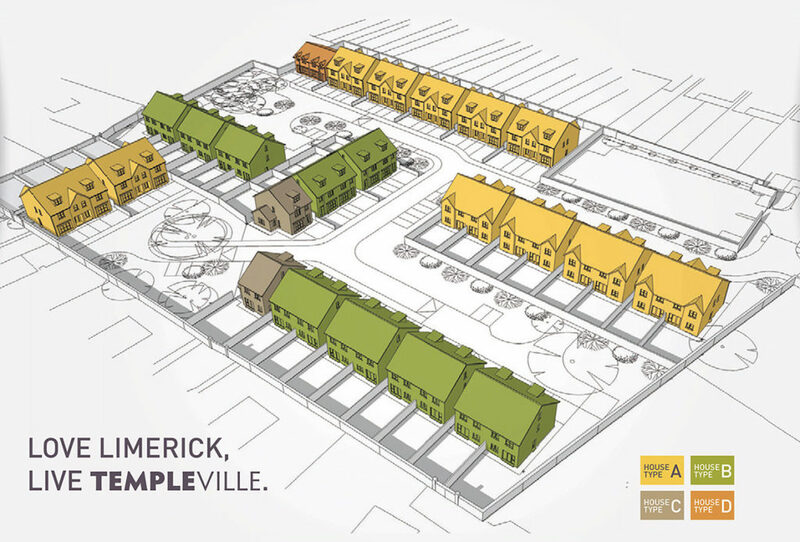 Templeville is a superior residential development of detached and semi-detached homes by Ballymount Properties Ltd. Already the purchaser feedback on the standard of work and the exceptional finish is setting the bar high for newer developments in the region. At Hogan Dowling McNamara we pride ourselves on being different. The speed at which we operate, the manner in which we do business and the systems we have in place ensure we offer a highly responsive professional service to our commercial clients. We extend our congratulations to all purchasers and wish them many happy years in their wonderful new homes.